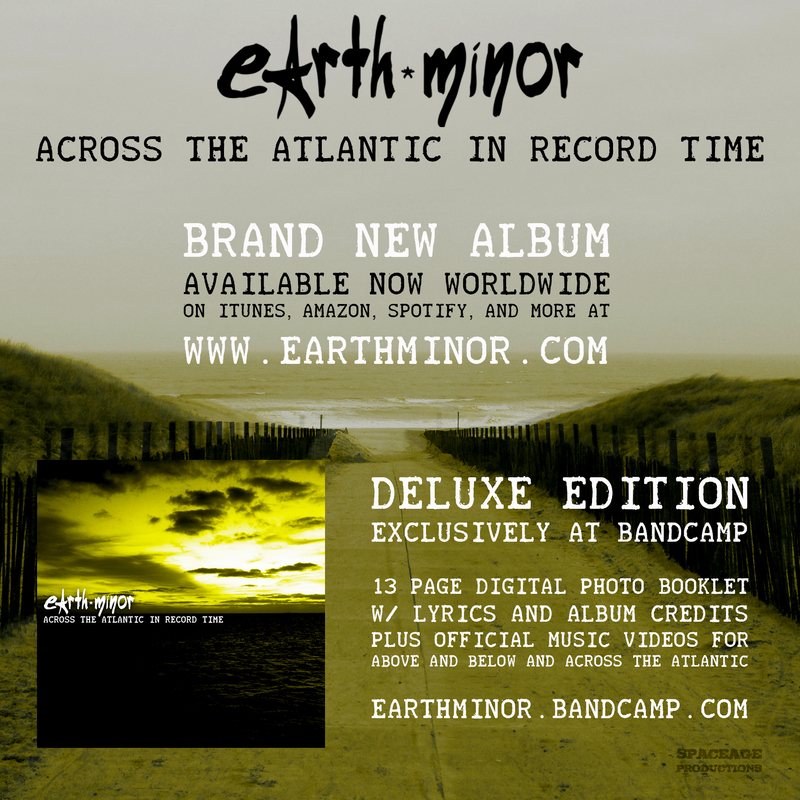 NEW EARTH MINOR ALBUM NOW AVAILABLE WORLDWIDE! Now available at iTunes, Amazon, Bandcamp, Spotify and more! Thanks to Jennifer Waite of www.examiner.com for this excellent review of our new album, “Across The Atlantic In Record Time.” Check it out below and download the album this Tuesday, January 27 on our Downloads page! Here’s the brand new music video for our song “Across The Atlantic” from our upcoming album which will be released worldwide this coming Tuesday, January 27! Behind The Scenes Look at a New Earth Minor Track! Here’s a brand new video of our resident songwriter, singer, and producer, Harrison Young giving you a studio tour of our new track, “Turn It Around” from the upcoming album. See what makes our sound tick and check out the full album, “Across The Atlantic In Record Time” on January 27 worldwide! New Album Artwork + Track List! Here’s the official cover artwork and track list for our upcoming new album, “Across The Atlantic In Record Time,” which will be released worldwide on January 27, 2015. Follow this space and our Facebook page for more info! 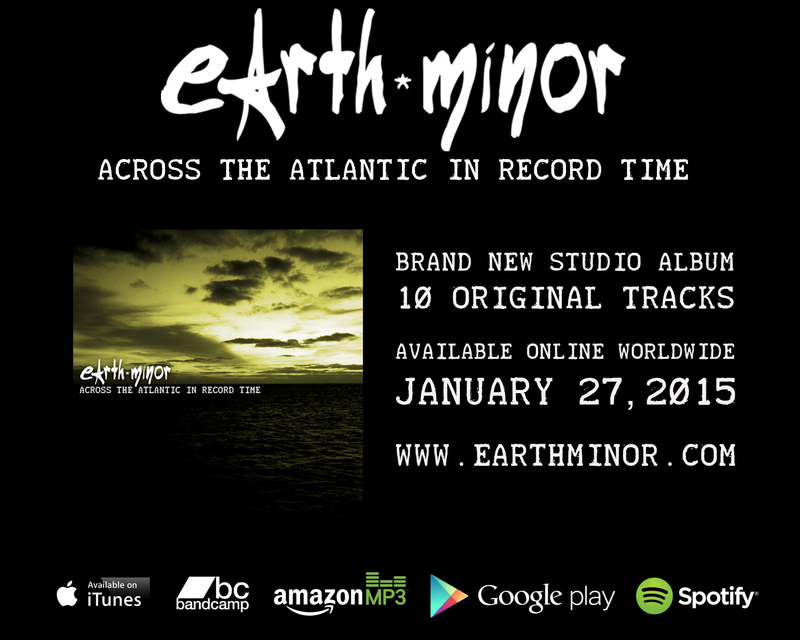 Earth Minor’s long anticipated new studio album, entitled ‘Across The Atlantic In Record Time’ will see its release digitally worldwide on January 27, 2015 via iTunes, Bandcamp and all other major online music stores. 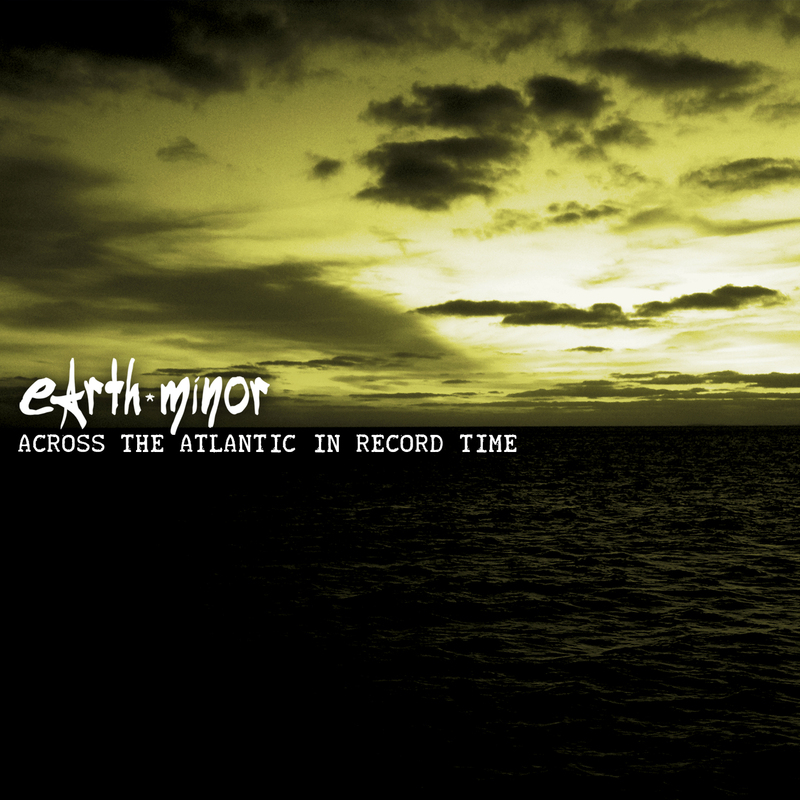 The album will feature 10 original tracks, including the previously released singles, “Above And Below” and “Traffic Light,” now available at www.earthminor.com. Alongside Earth Minor’s regular lineup of Harrison Young on Vocals, Keyboards, and Electronics, Matt McDonald on Guitar, Brady Watt on Bass, and John Czolacz on Drums, the album will also feature performances by the legendary Doro Pesch, as well as long time members of her band, Nick Douglas and Johnny Dee. Please follow this space as well as Earth Minor’s Official Facebook Page for updates on the release.